wholesalejim has no other items for sale. When Paying with Paypal you must have a confirmed address. If your address is unconfirmed I will refund your payment. There are NO EXCEPTIONS. Excellent description and fast shipping! Very fast shipping! Items were just as advertised! Thank you! 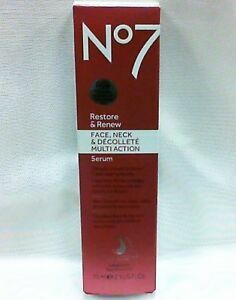 Boots No7 Restore and Renew Face and Neck Multi Action Serum is a delightful product. It's recommended on TV, so I thought I'd try it. It has a nice, light scent and feels so good on the skin. I can honestly say I've seen a slight difference in the texture of my skin and I plan to continue to use it. 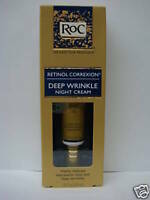 This serum makes my face so soft and has evened out my complexion. Works well in a couple of weeks you can see a difference.